The boys are on their Easter break from school and nursery, and after a couple of relaxing days spent indoors with Netflix, Lego and colouring on Wednesday afternoon we went on an adventure. Originally my plan was to go geocaching, as there are quite a few geocaches within walking distance of my house. However when we arrived at the location of our selected cache the ground was totally unsuitable for LA to manage on her own or for me to carry her down. 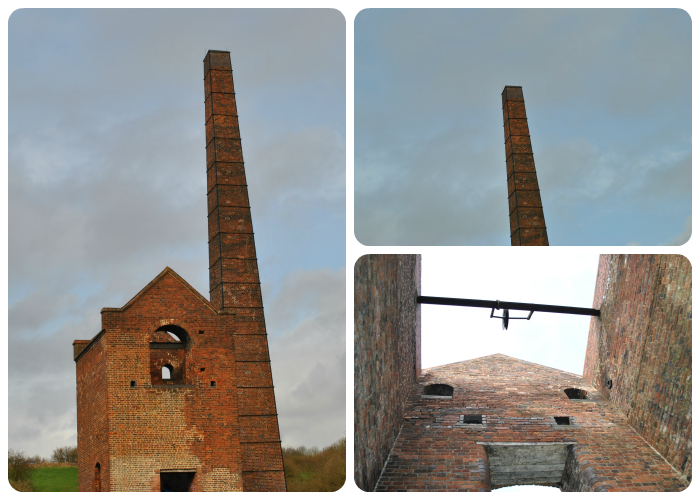 So I decided to take the tiny 3 to see something up close that they’d only previously seen at a distance ~ Cobbs Engine House. Built in around 1831, It housed a stationary steam pump used to pump water firstly from Windmill End Colliery and later other mines in the area. Utilizing a shaft 525 feet deep, 1,600,000 litres of water were pumped from the mines into the canal daily. It was in use until 1928 and in 1930 the newcomen type engine was moved to the Henry Ford Museum in Dearborn, Michigan. As a child I spent quite a lot of time in and around Cobb’s, it was always a fun place to play. Somewhere to use our imagination as to what it would have been like to see it working, to pretend it was our house, or as a not very useful in the rain shelter or hideout. 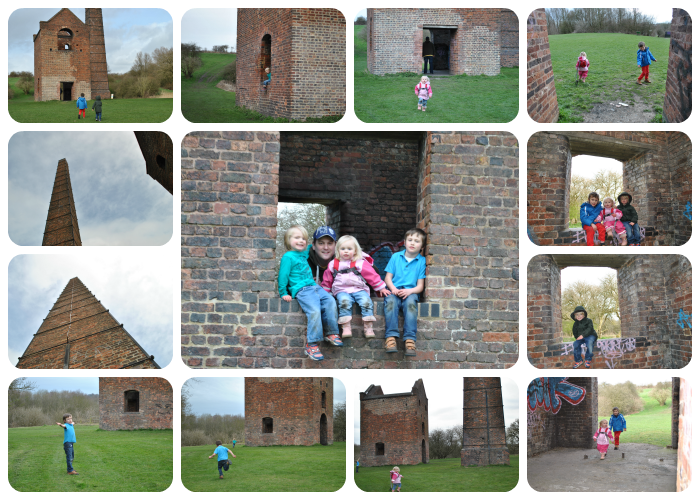 I wanted the tiny 3 to experience this and love it as much as I did, so we took a walk round too it. They really loved exploring it as much as I can remember doing, and whilst I tried to explain the history of it to them they’re really too young to take it all in. In the end that didn’t matter because I loved listening to their ideas about what it was, and what it could be. JR decided it was his castle, & TP said it was his shop whilst LA just liked running through it and around it. They had so much fun, that when Mr M&TTT had the day off the following day they insisted on taking him to see it too. The thing which I loved most was how even though this building is nearly 200 years old, to them it was as if they were the 1st people on earth to discover it. This entry was posted in Days Out, My Stuff, The Tiny Three. Tammy that is so true, kids always think they are the first to have ever thought of or seen something. That’s what makes every discovery so special for them. I loved hearing of the history here even if it didn’t hold much with the kids! Looks like a detour to your original plans that really paid off. 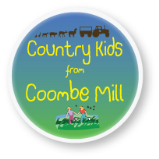 Thank you for sharing with me on Country Kids. it is great what imagination can make of things, and how lovely you can make memories with your own children in a place you have such fond memories of. They look like they had a great time.